Thanks to everyone who braved the weather and came to the event today. The final league standings will be published at the Barbeque in Hollywood next week. We will try and fix any duplicate name issues that come to our attention. 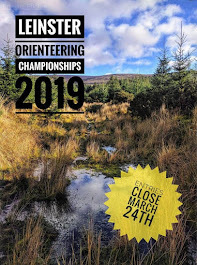 Results are now up at http://orienteering.ie/builder.php3?MoreResults-1937. The last of the summer evening events will be in Hollywood Forest next Tuesday 19th June. We are hopeful that after the downpour on the Curragh last Tuesday it might be drier than usual at Hollywood! Directions: from the N81 Blessington-Baltinglass about 10km south of Blessington turn east on the R756 Glendalough road, and take the 2nd turn left into Hollywood village, grid ref. N 940 056. Parking and Registration will be in the village, as will the post-event Barbecue. Start and Finish will be beside each other at the forest entrance about 300m beyond the village. Download will be in the village - please don't forget to download! Start times 18:00 to 19:30. Courses close at 20:30. SI electronic timing will be used, SI cards will be available to rent if don't own one. Please let us know in advance if you are bringing a group. You can pre-register here: http://tinyurl.com/CNOCSUMMER and pay at the event, or you can just arrive and register. Ruth Lynam is planning the courses: Score: find as many controls as you can with a time limit of 50 mins. Short Adventure: 3.2 km, straightforward navigation, some difficult terrain, full leg cover advised. There will be an option to leave out some controls - 1.4 km, slightly easier terrain. After the event the end-of-season Barbecue and the Summer League prize-giving will be in Tutty's pub in Hollywood.